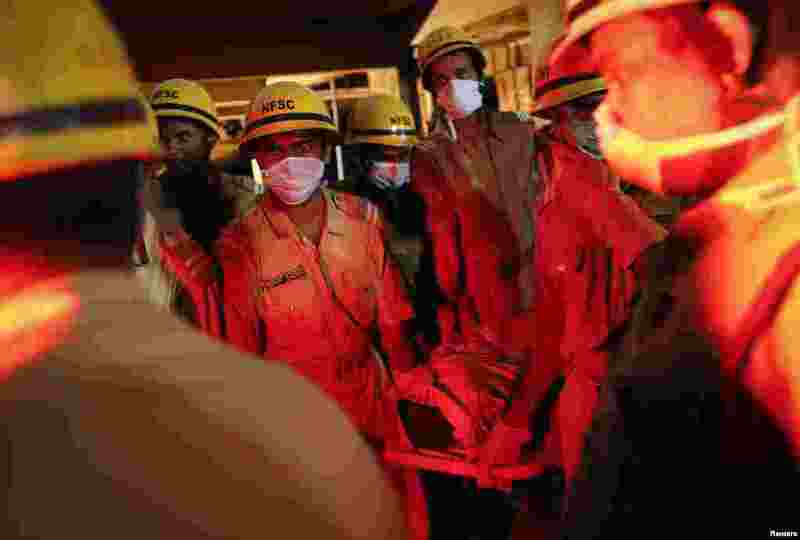 Indian rescue workers are continuing Sunday, January 5, 2014, to look for survivors of the collapse of the multi-story building under construction in the southwestern state of Goa. 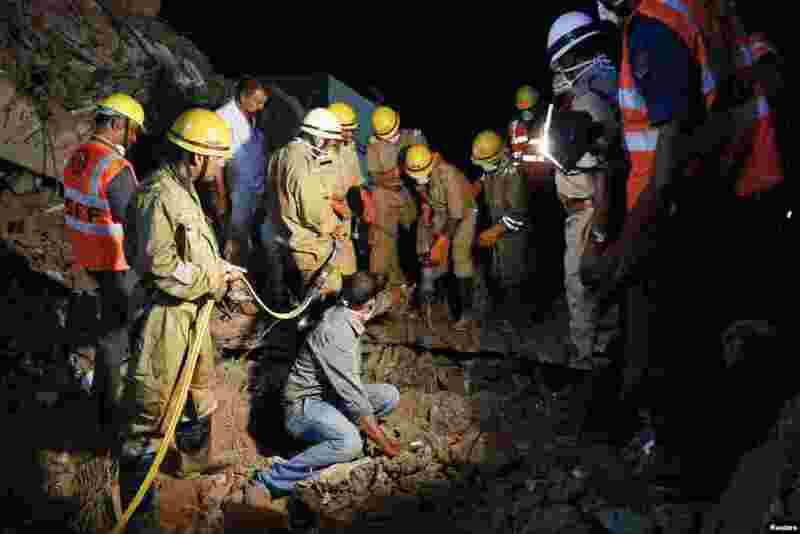 1 Rescue workers attempt to remove the body of a victim at the site of a collapsed building that was under construction, Canacona, India, Jan. 5, 2014. 2 National Disaster Response Force workers look on as power shovels clear debris at the site of a collasped building in Canacona, India, Jan. 5, 2014. 3 Rescue workers carry a body to an ambulance. 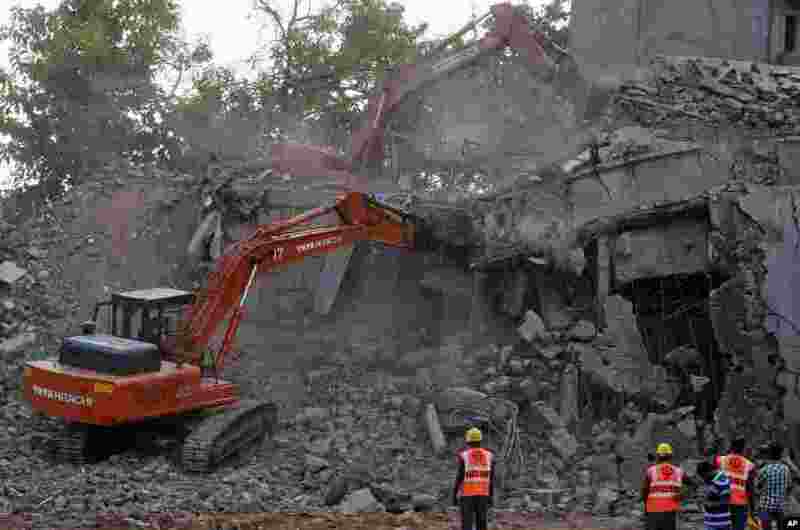 The victim was recovered from the debris at the site a collapsed building that was under construction, Canacona, India, Jan. 5, 2014. 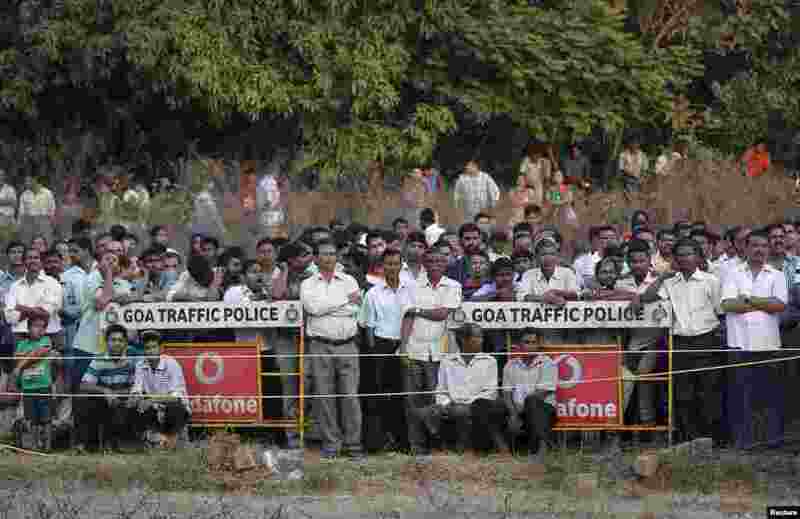 4 Onlookers watch the rescue operation at the site of a collapsed building that was under construction in Canacona, India, Jan. 5, 2014.